Susan Beebe joins Tyson Foods' Social Media team! Update: Role expansion: adding oversight of our digital, SEO, SEM, and website management for our corporate website, TysonFoods.com, including master brand refresh in February 2017. 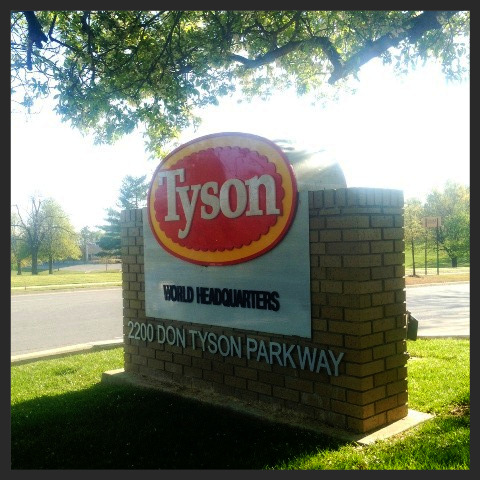 I am very pleased to announce that I've joined the wonderful folks over at Tyson Foods, Inc., leading social media on the Corporate Affairs team. Tyson is a well-known and respected food company that has a huge heart when it comes to humanitarian aid in the form of hunger relief (see TysonHungerRelief.com blog started in 2007 by Ed Nicholson). As part of this career change, I've relocated up to the NW region of Arkansas as I now work at Tyson's global headquarters. The NWA area is a nature-lovers dream come true... truly a hidden gem! If you love hiking, mountain biking, kayaking, fly fishing, rock climbing and nature walks, then you definitely need to check it out. I live in the city of Fayetteville, right next to the Fayetteville Lake, which has tons of paved and dirt nature trails... so awesome! Lots of great things to see and do here! Fayetteville reminds me a bit of Austin as they have a local slogan here, "Keep Fayetteville Funky" that is very similar to Austin's, "Keep Austin Weird." These should become Sister cities, right?! Connect with @TysonFoods on twitter and facebook! Also, check out our new LinkedIn page! Update: Now, we're on Instagram and Snapchat too! Meet the New LinkedIn - Go get your new LinkedIn Profile. Go get your new LinkedIn profile. One of the most respected experts in social media listening analytics is Chuck Hemann, at WCG, who blogged here today and also produced this great slide deck for his talk at #GoToExplore. How is your company listening today? just moved SusanBeebe.com from my self-hosted WordPress server over to SquareSpace.com which is a hosted service that takes care of all the lovely back-end stuff, security, updates, etc. so you don't have to. Oh, and I won't miss being hacked or getting malware anymore! Yay for sanity!! Yes, I am migrating from self-hosted WordPress over to Squarespace. I no longer find it charming to code every nook and cranny of my blog platform. I am more interested in blogging instead of coding. I know -call me boring- but I'd rather focus on my blog, not maintaining it. Quite frankly, I've had it with all the hacking, theme issues, unsecure plug-ins and problematic upgrades. I've loved WordPress for years and will miss some cool stuff. I am ok with that. Now onto blogging! I look forward to having a blog that just works. Join me on my new journey and help me explore blogging in 2012 on this new platform. SquareSpace is my new friend.